Loving Vincent is the world's first fully painted feature film, unravelling the mystery of the death of the world's most celebrated artist. On 27th July 1890 a gaunt figure stumbled down a drowsy high street at twilight in the small French country town of Auvers. The man was carrying nothing, his hands clasped to a fresh bullet wound leaking blood from his belly. This was Vincent van Gogh, then a little known artist, now the most famous artist in the world. His tragic death has long been known, what has remained a mystery is how and why he came to be shot. Sixty painters worked for a year to complete the 57,800 oil paintings making up the film. The production uses Breakthru’s patented Painted Animation Workstation system to bring Van Gogh’s masterpieces to life. Live action footage was filmed and then projected frame by frame onto canvas, and painted over in oils in the style of Van Gogh. The film is a co-production between two Oscar-winning production companies, Breakthru Films and Trademark Films. 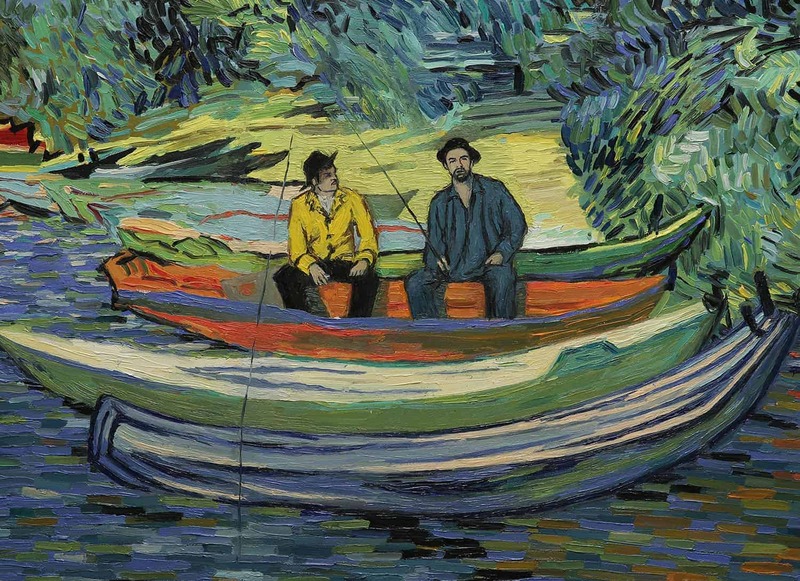 Loving Vincent is available in the UK on Netflix.